Bluetooth Sleeping Eye Mask?Headphone, Geekroom Wireless Bluetooth V4.2 Headphones?Music Travel Sleeping Headset Adjustable Washable Music Sleep Eye Shades Built-in Speakers? Comfortable & breathable meterialMade of soft comfortable Light and breathable material,let you release your facial stress and help you get into sleep rapidly. Bluetooth V4.2 & 3D sound qualityTruely 3D high fidelity sound quality make you feel release eazily. latest Bluetooth 4.2 technology that produce great sound quality, Latest bluetooth technology can pair your device quickly . Unique streamlined & Shading design Size is 20-28 inch,Unique streamlined designed eye cover fits any face easily. The new Paste design has a 3.15inch range with 9inch Elastic band design behind which adjusts to 12.6cm. It seals well without tugging your hair. Shading design effectively blocking lights coming from the nose area. 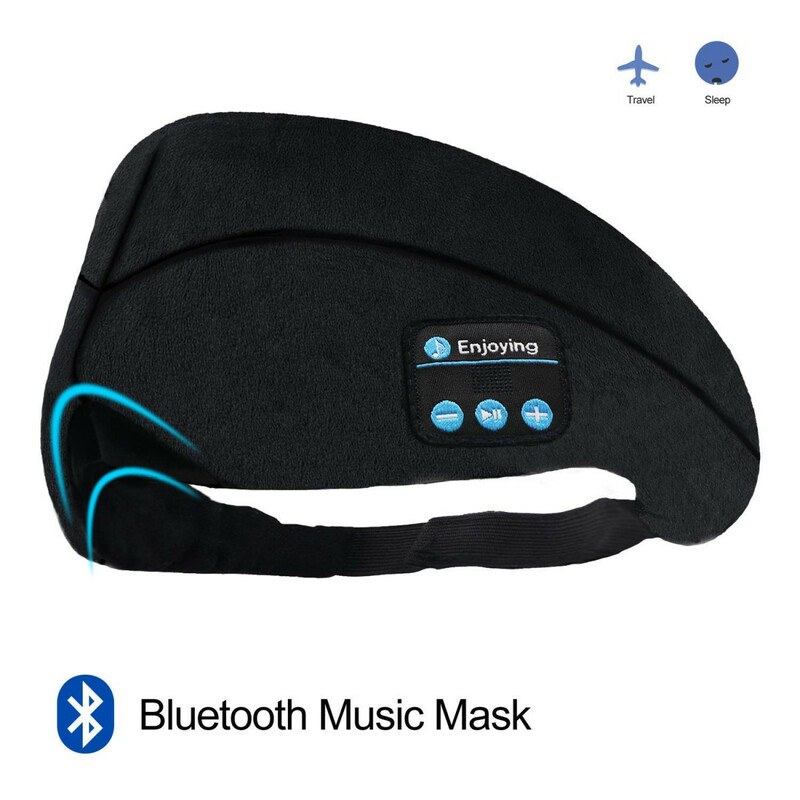 You can get sound sleep or nap everywhere! 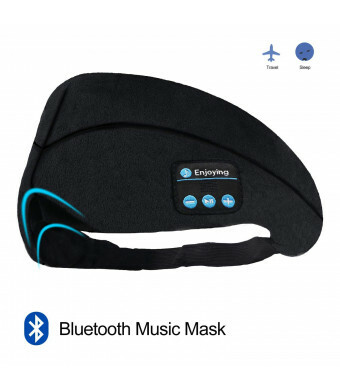 Built-in microphone & speakersYou can answering the phone call with this eye mask and also you can make a call to The last caller with the bottom key .Press once PLAY/STOP Buttom for auto receives call,Press and hold PLAY/STOP Button to reject call. 1. Incoming call, press once PLAY/STOP Button for auto receives call. 1.Open the bluetooth in your phone and match with bluetooth name "BT-FAAH"
2.Can be washable when take out the bluetooth module. 3.Both speakers are not fixed, can adjust placement accordingly based on your size. 4.Please adjust the volume from your mobile or Long press Vol+ from Bluetooth if you can't hear any music. 5.The sound may have a bit noise if there's environmental interference.